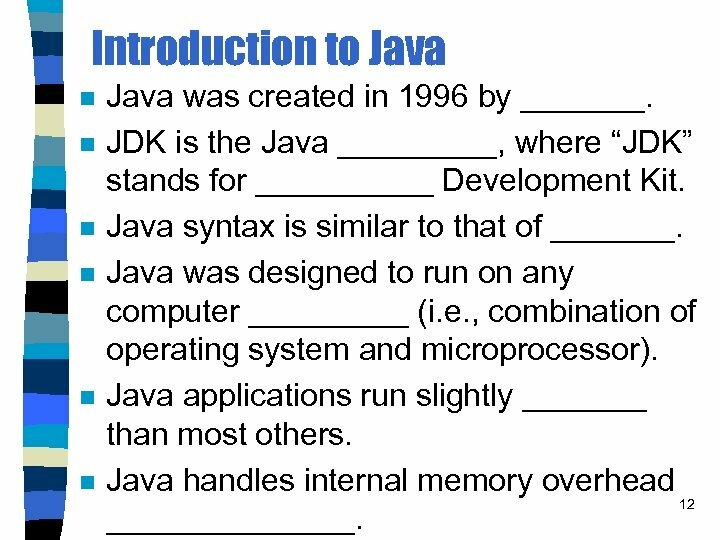 Introduction to Java n n n Java was created in 1996 by _______. 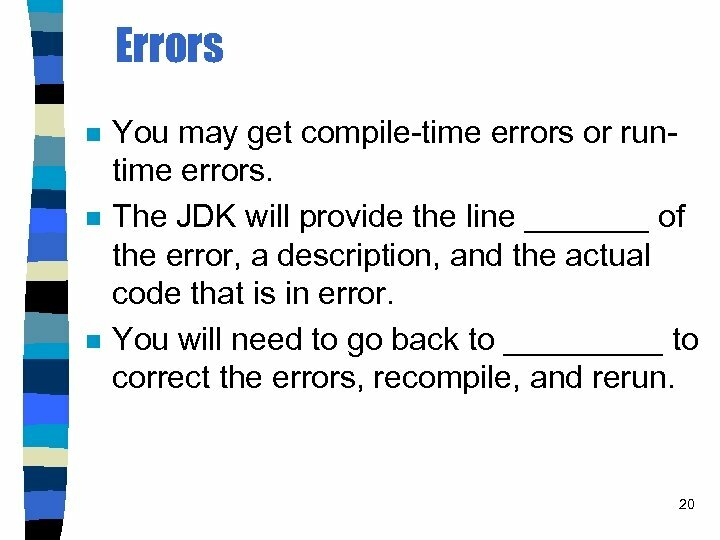 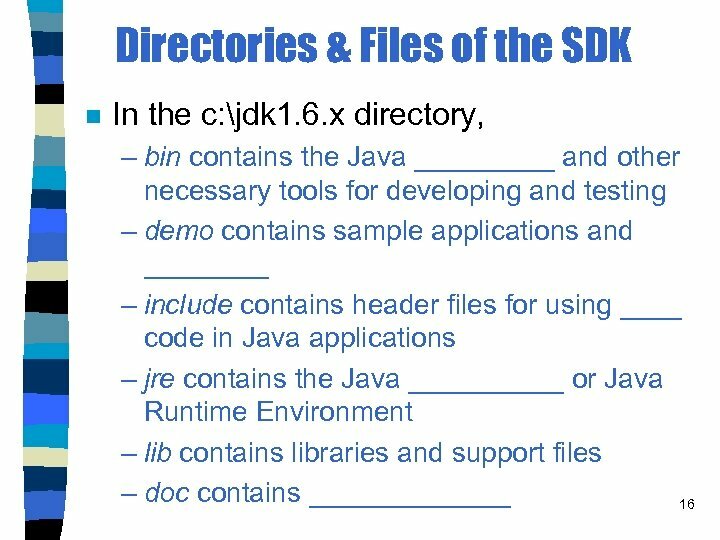 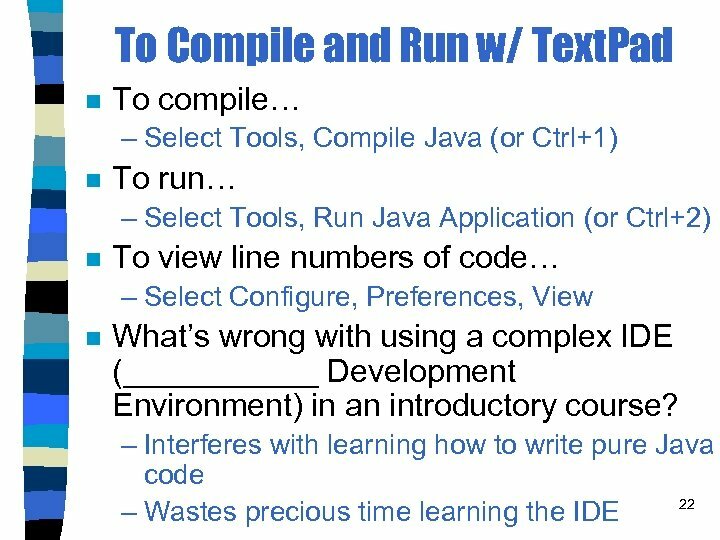 JDK is the Java _____, where “JDK” stands for _____ Development Kit. 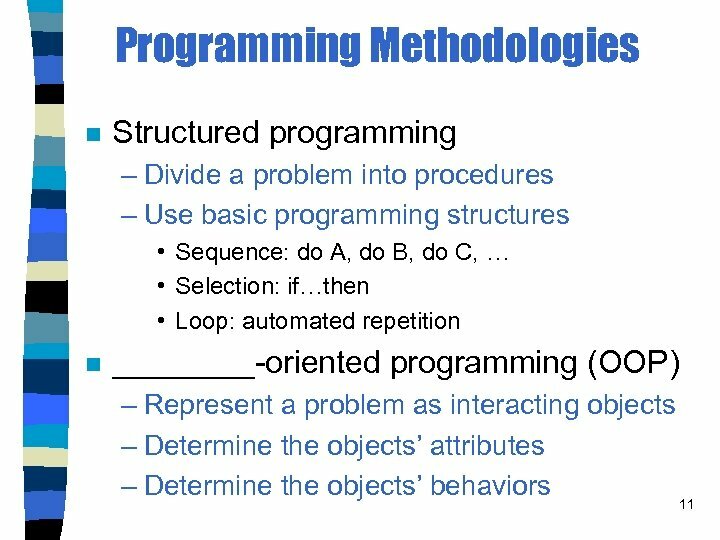 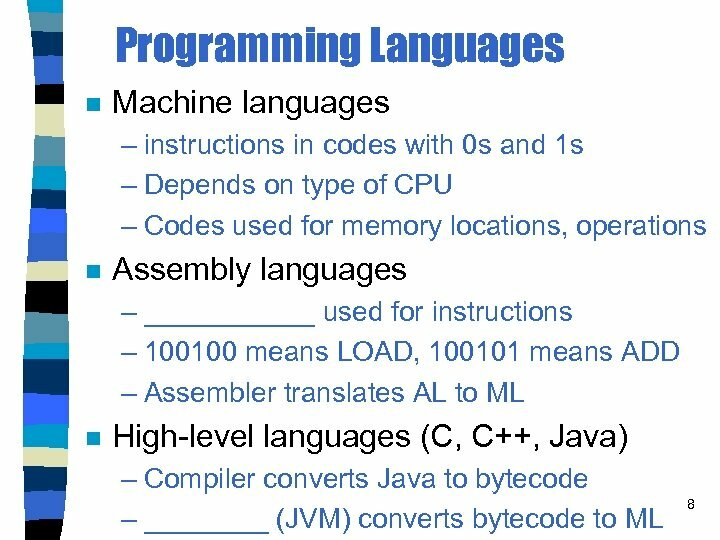 Java syntax is similar to that of _______. 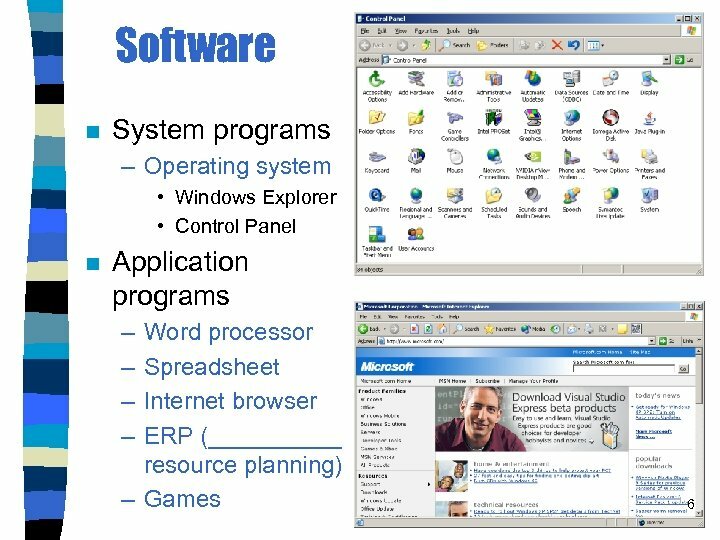 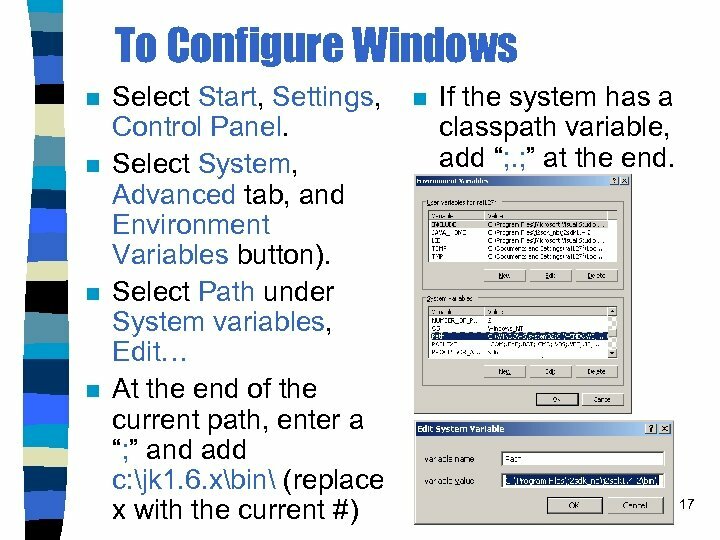 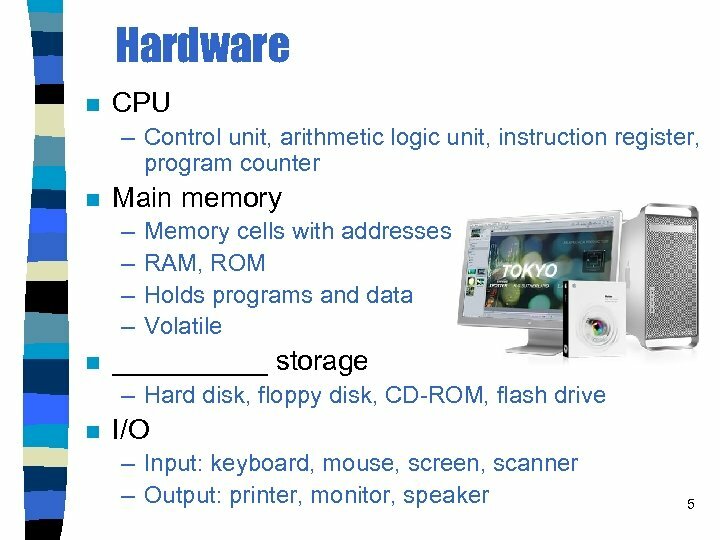 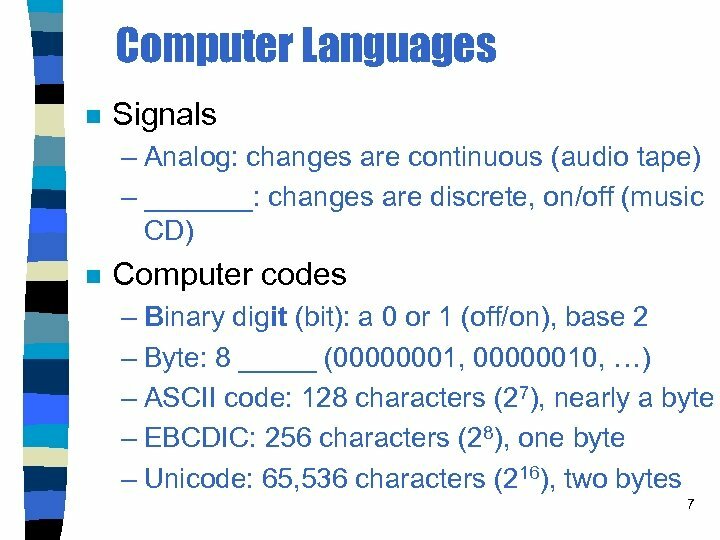 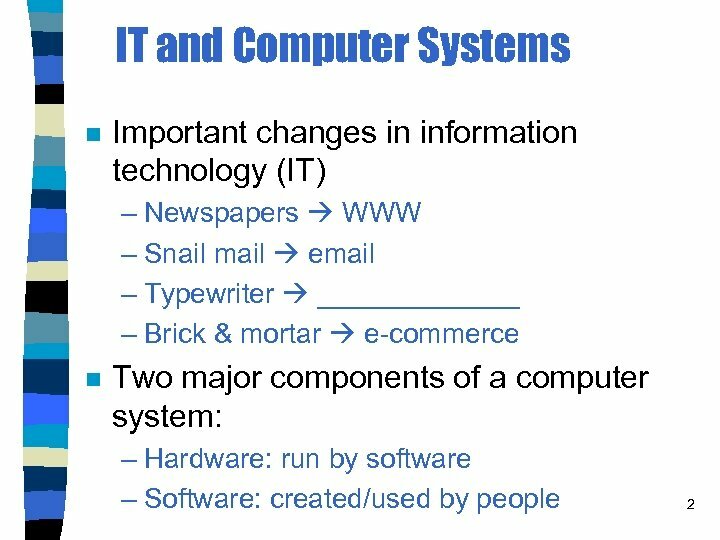 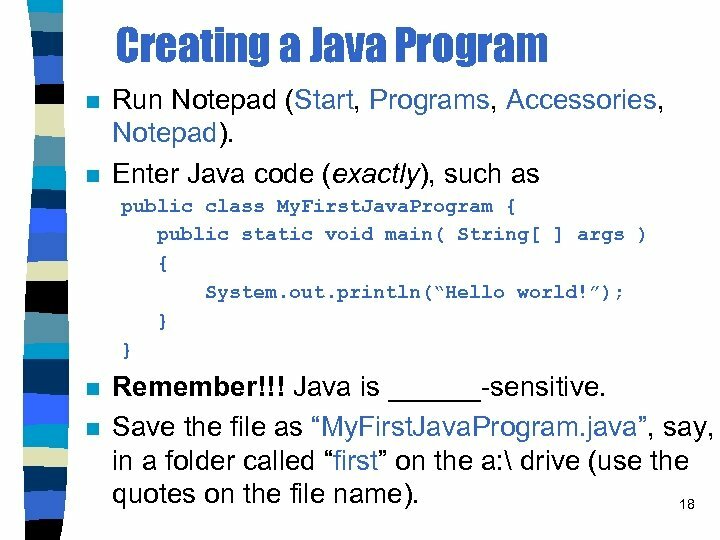 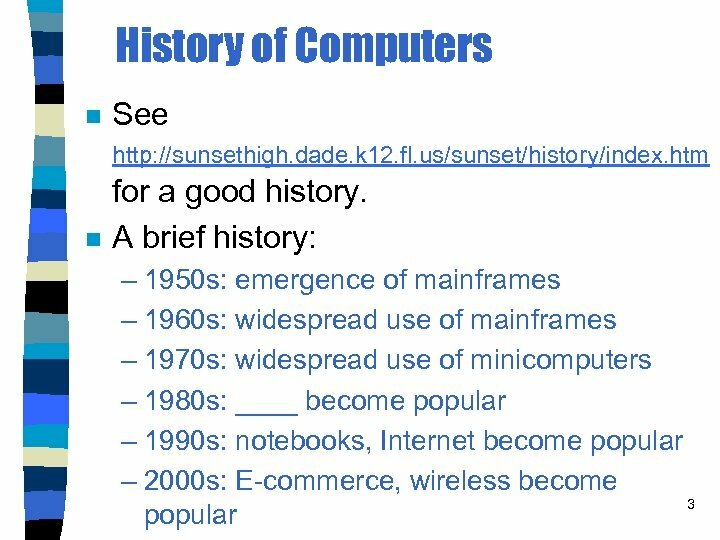 Java was designed to run on any computer _____ (i. e. , combination of operating system and microprocessor). 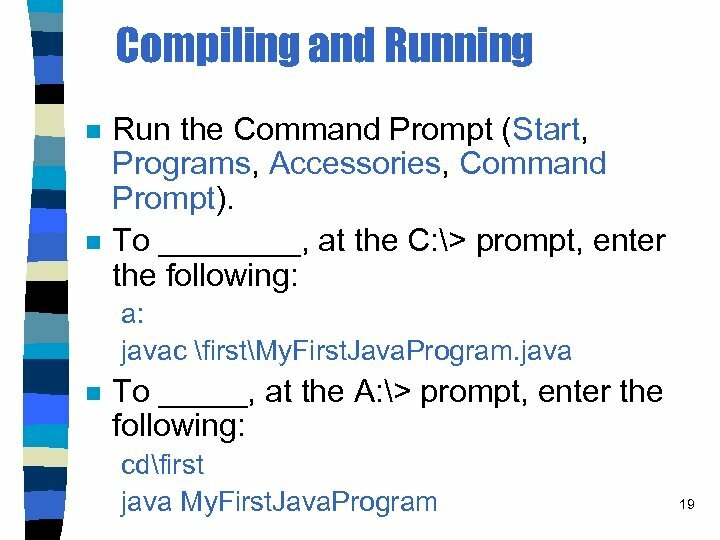 Java applications run slightly _______ than most others. 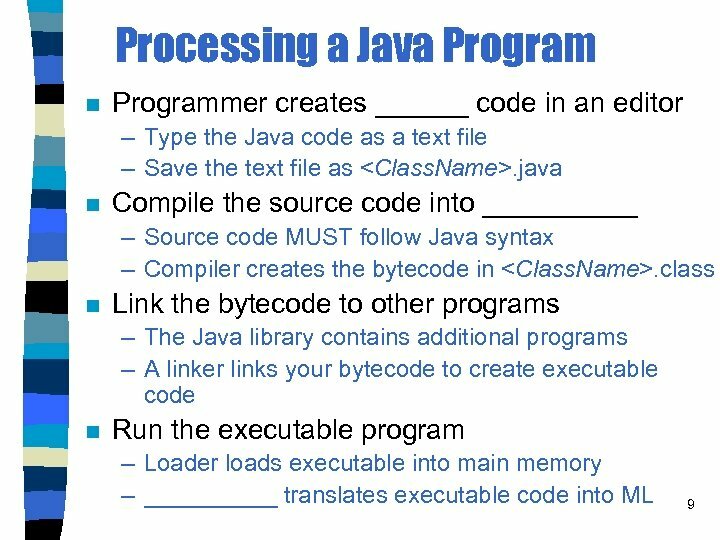 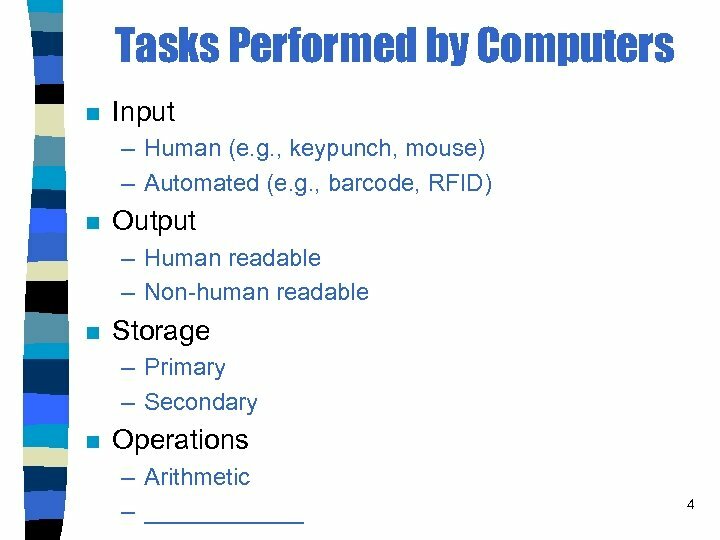 Java handles internal memory overhead 12 _______. 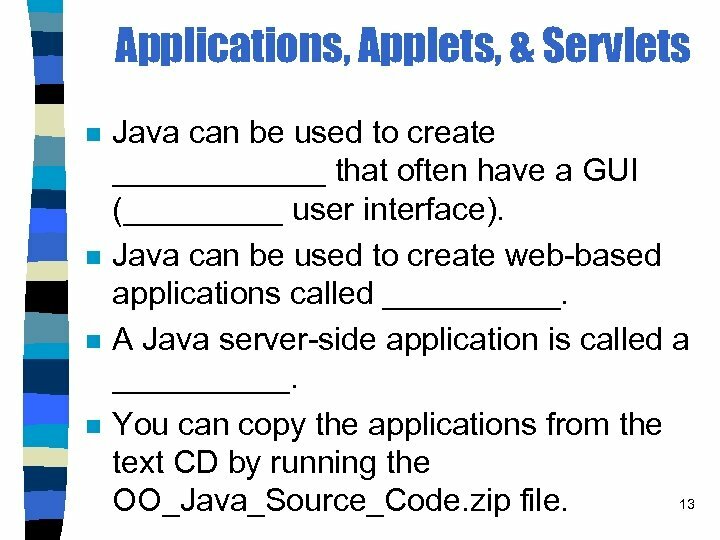 Applications, Applets, & Servlets n n Java can be used to create ______ that often have a GUI (_____ user interface). 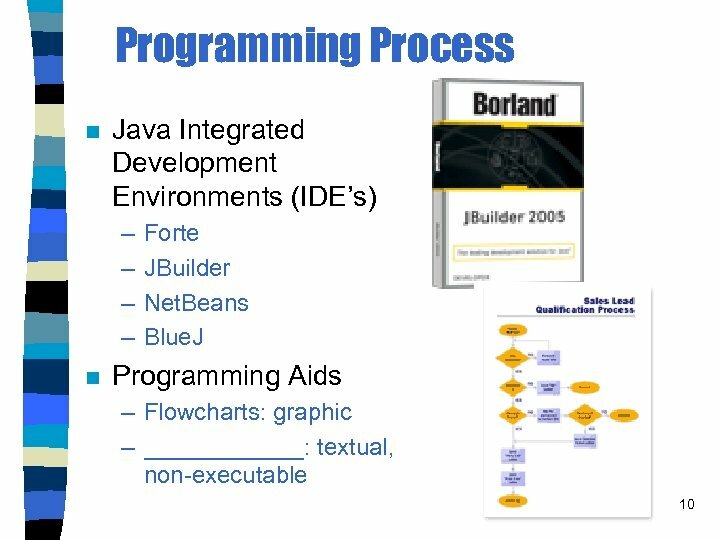 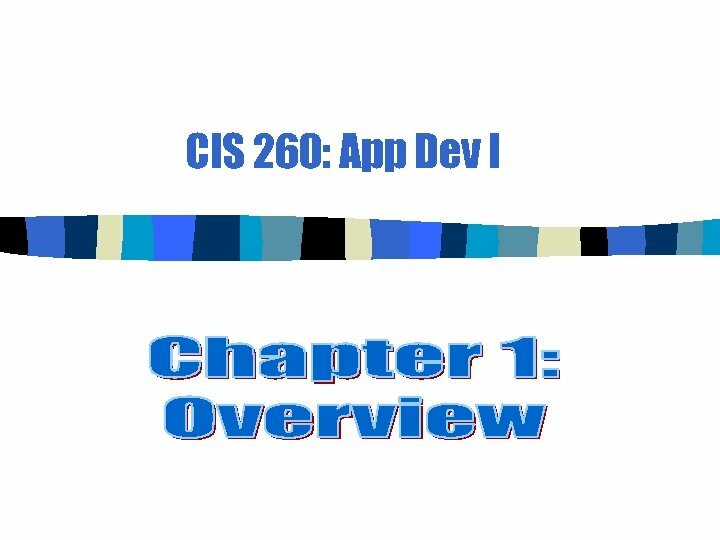 Java can be used to create web-based applications called _____. 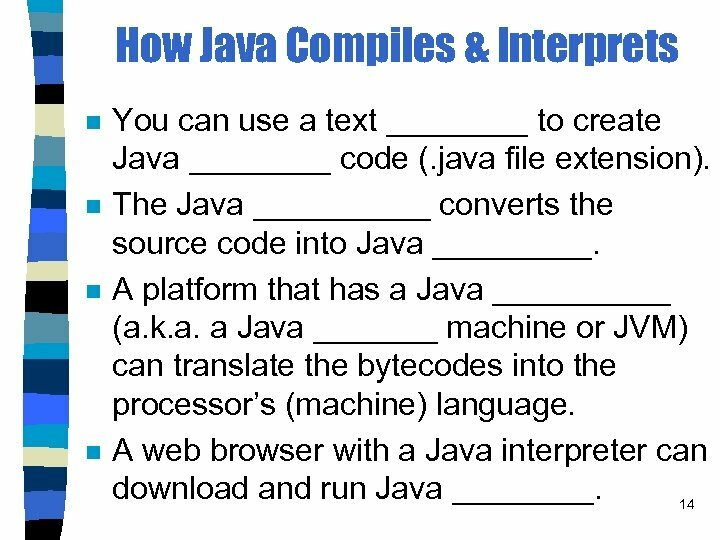 A Java server-side application is called a _____. 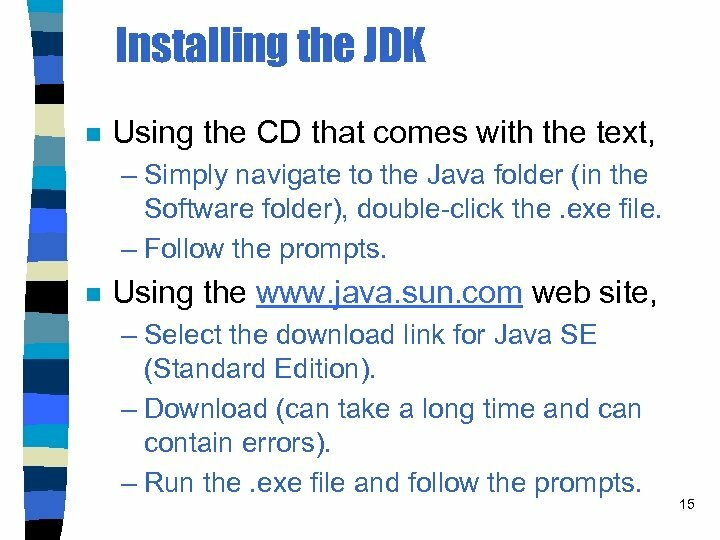 You can copy the applications from the text CD by running the 13 OO_Java_Source_Code. 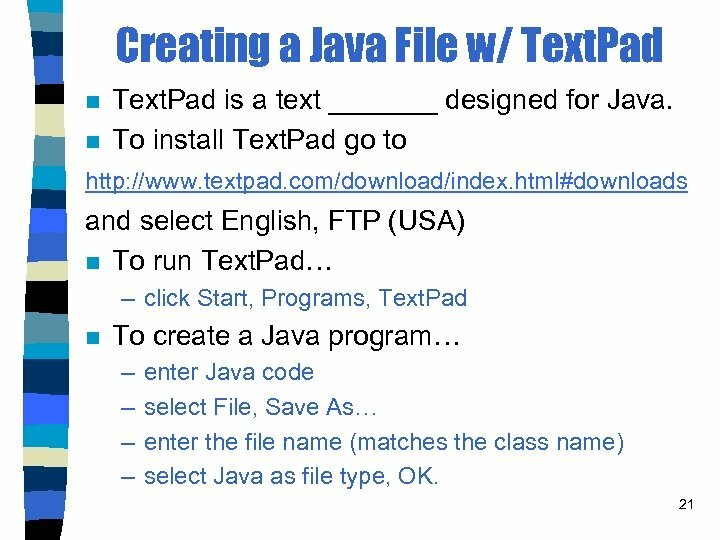 zip file.